Although he’s enjoyed a hit single or two during his extensive career – which is now in its fifth decade – Todd Rundgren remains the consummate “cult artist,” too often overlooked when the classic rock era is being discussed. Still, Rundgren’s expansive muse, which has danced across the rock, prog-rock, electronic, and pop genres, has resulted in an eclectic body of work displayed on nearly two-dozen albums, both solo and with his band Utopia, that have earned the artist a faithful legion of fans that have long followed him on his sojourn across the musical landscape. Rundgren’s musical evolution has never been more apparent that it is on the retrospective At The BBC 1972-1982. Scheduled for December 2, 2014 release by Esoteric Recordings – one of the more interesting and adventuresome of the U.K. archival labels – this four-disc set offers an intriguing look back at the artist’s enormous talents during what is arguably the most productive period of Rundgren’s lengthy career. The collection comprises three CDs and a DVD which include all of the surviving radio and television broadcasts by Rundgren extant in the BBC archives. 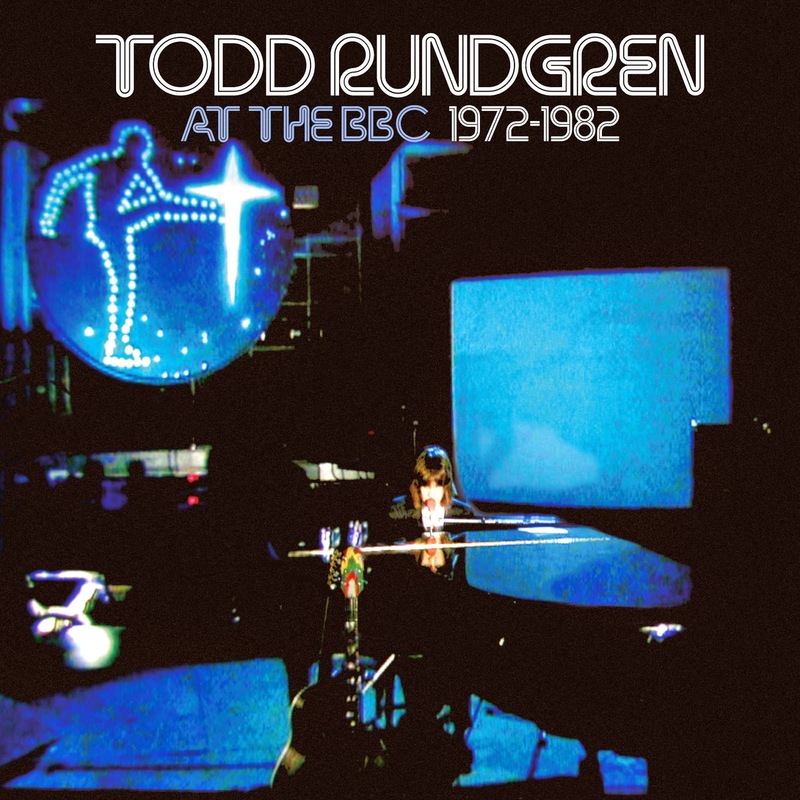 The set features Rundgren’s BBC Radio One “In Concert” performance that occurred in relation to the release of his Top 30 charting 1972 album Something/Anything? The box also includes the classic 1975 performance by Rundgren and Utopia, including a previously-unreleased song “Something’s Coming,” as well as a 1977 Utopia performance from the Oxford Polytechnic to promote the band’s album Ra. The DVD offers three different performances from The Old Grey Whistle Test TV series, a 1975 session with Rundgren and Utopia, a film of Rundgren and the band at the Bearsville picnic in 1977, and an entire 1982 Rundgren solo performance for The Old Grey Whistle Test with a pair of songs not originally included on the TV broadcast. All of the performances here have been re-mastered from the original BBC master recordings, and the set is packaged in a clamshell box with an illustrated booklet featuring a new essay. Featuring thirty previously-unreleased tracks across the set, At The BBC 1972-1982 is going to be a “must have” addition to any Rundgren fan’s collection. We have the complete track listing below, as well as a handy link to Amazon.com in case you just can’t wait!